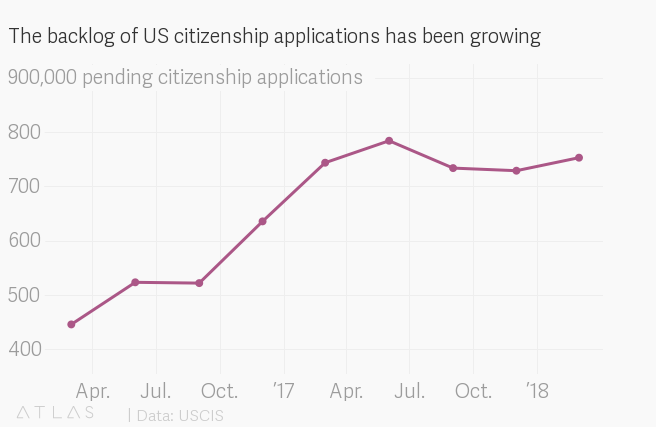 Fewer immigrants are queuing up to become US citizens, but that doesn’t mean the line is getting any shorter. Nevertheless, pending cases are still on the rise. That number increased by more than 20,000 in the first three months of 2018 from the previous quarter. 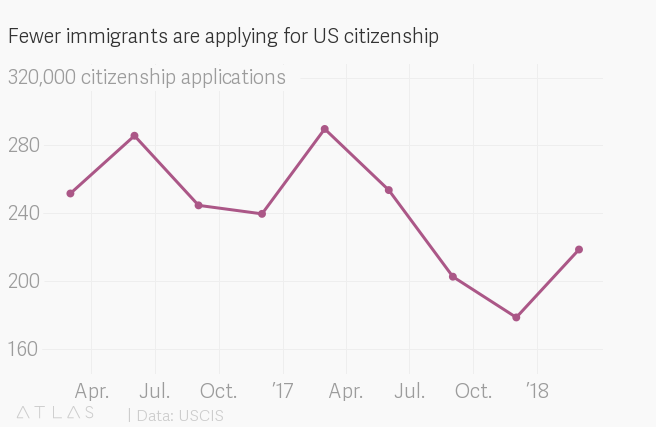 It’s part of a broader and longstanding pattern of backlogs in the US immigration system that affect everything from immigration court dockets to processing times for certain kinds of visas. The rise in pending naturalization cases predates Trump. Their numbers ballooned from a little under 300,000 in 2013 to more than 520,000 in 2016, as applications outpaced USCIS’s ability to process them. The agency is now spending more time screening cases for potential fraud under Trump, but USCIS spokesman Michael Bars said it has kept naturalizing citizens at the same pace as previously.